Spend your day getting close to nature. Travel by road from Christchurch through the rolling hill country of North Canterbury, enjoying the beauty of its rural pastoral scenes, to Kaikoura where mountains meet sea. 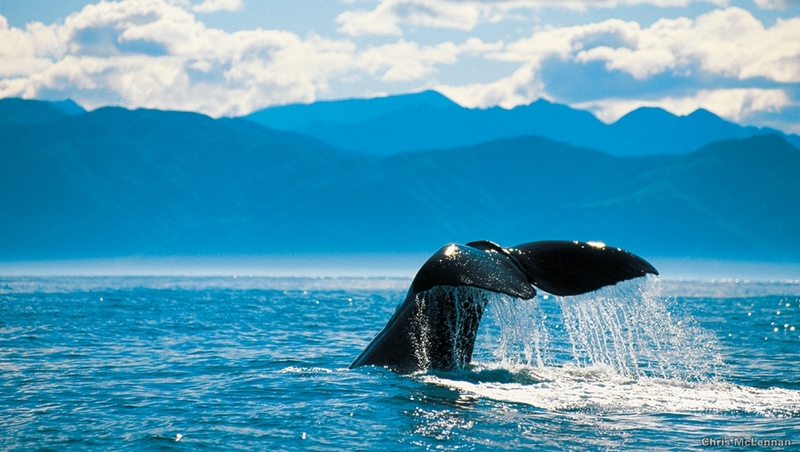 Kaikoura is world renowned for the variety of marine mammals which can be seen, not least of all the giant sperm whales and the acrobatic Dusky Dolphins. 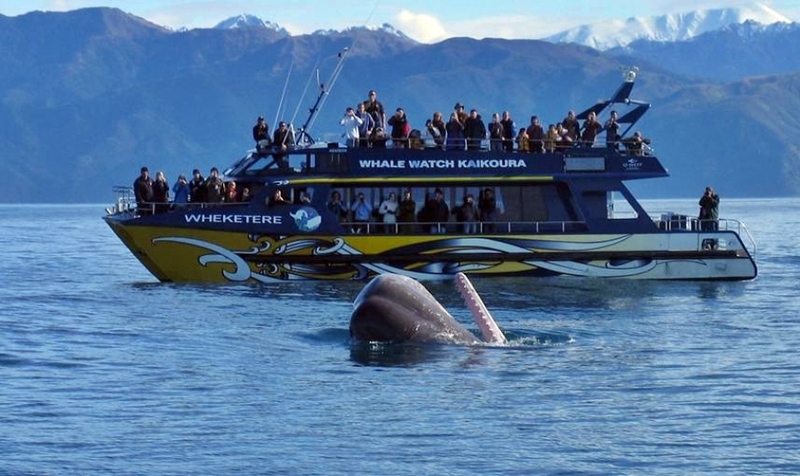 On your arrival in Kaikoura you will be transferred to a whale watch tour; by boat, light aircraft or helicopter, the choice is yours. In the afternoon you will visit a seal colony where fur seals may be viewed at close quarters. On your return to Christchurch a stop will be made at a North Canterbury vineyard where a wine tasting has been arranged for your pleasure. Wine tasting has been arranged for your pleasure at one of North Canterbury’s fine vineyards, during your return journey to Christchurch. Children under 3 are not permitted on the boats but may whale watch by light aircraft. As the wineries close 5pm a stop may not be possible should the tour be late in departing Kaikoura.